"It’s about making decisions based on what works best for the client, not based on what you think should work best for them." Alicia Bell is an IFBB Figure Pro and has over 17 years total coaching experience. Alicia is an Online Coach and Toronto based Kinesiologist, Personal Trainer, Strength Coach, Fitness Model, and Track and Field Sprint Coach. She has devoted her life to helping people reach their goals in health, fitness and sport. 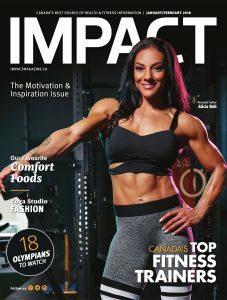 Alicia is also a well known Canadian Health and Fitness Influencer. She has been published as a fitness model in print and commercials in addition to her athletic endevours. Alicia has modelled in and wrote content for numerous publications for many years. In 2015 and 2016 Alicia was featured in 3 commercials starring herself. These commercials included Garnier Fructis Grow Strong, New Balance Canada and Fuel Foods. She is also a nationally recognized track and field coach who previously has coached team Canada at the Maccabi games in Israel in July of 2013. She lead the team to 13 medals. She has had her own club and is now the head Track and Field Coach at Ryerson University in Toronto. Alicia has over 10 years of practical and educational experience. Alicia also runs Train It Right her own Personal Training business and Track and Field Club. Alicia is regular health and fitness content creator for Fitness Republic and Corus Entertainment’s Wdish. She is currently enrolled in the Canadian Sports Institute taking her advanced coaching diploma in Athletics. Alicia has experience with a wide range of clients including strength & performance athletes, athletic conditioning, weight loss, exercise rehabilitation, cancer patients, transformations and competition prep. She has worked as a Kinesiologist, Exercise Rehabilitation Specialist, and Strength Training Coach. as well as Track and Field Sprint Training. Alicia has experience in all sports for athletic conditioning as well. Alicia is a former national level sprinter having competed at many national competitions including the 2005 Canada Summer Games. She ran for Dalhousie University where she completed her 4 year undergrad and trained under coaches Peter Lord and Jason Hiltchie. Upon graduation Alicia moved to Ottawa Where Hugh Colin and Craig Taylor Coached her at the Ottawa Lions Track and Field Club. During her undergrad at Dalhouside University Alicia began coaching track and field beginning with Queen Elizabeth High School, Dalhouside Track and Field Club, and she coached team Nova Scotia twice at Legion Nationals during her time in Halifax. She then coached the Youth Programs with the Ottawa Lions and when she moved to Toronto began coaching with the York University Track Club. Alicia was also the National Champion in Beach Flags in 2005 for team Nova Scotia. Alicia beat out the only other female at that time to ever win beach flags in Canada. Alicia was also the runner up for the same event at Nationals in Grand Beach in 2007. Always be honest with your coach. They can’t help you if you aren’t telling them everything that’s going on with your training, diet and supplementation. You don’t have to eat boring meals on prep. Your meals are as creative as you make them. Always give it 100% – diet, training, supplements, nutrition. Don’t hold back in any season. There is a reason for every season. Winning my class and overall at 2017 Provincials and sharing them moment with Sean. Watching all of my athletes shine on stage and bring their best at each and every show. Stepping on the National Stage in my first year competing and placing 3rd. “I may have always been an athlete. But since moving to Toronto to be a personal trainer and fitness expert I’ve had many ups and downs in my life on my personal fitness journey. Big set backs continuously seemed to occur. They always needed up preventing me from reaching my fitness goals each time. However never did I get down on myself. I always picked myself up each and every time and kept going. I did not complain and I did not blame anyone or anything for my circumstances. First I had a full and complete ACL tear. When this happened at the same time I also ended up rupturing my meniscus while fracturing the tibia at its plateau. It took me over a month post op to even be able to do a full cycle on a pedal bike. I had to have a second surgery less than a year later to remove scar tissue and shots of synvisc (a synthetic synovial fluid) as well. To this day I still don’t have full range of motion. Did this stop me? No. Does it prevent me from doing anything? No. Do I use it as an excuse? No. Then the following spring I was on my way to coach my track team and a cab driver cut me off as I was riding my motorcycle through an intersection. I t-boned him and flew over the cab. Hit my knee that I had the ACL repair on pretty bad, got whip lash, hurt my back, got road rash and also had my hand caught in the street car track as I was sliding. Did this stop me? No. Does it prevent me from doing anything? No. Do I use it as an excuse? No. Finally, as I was still going through physio for my motorcycle accident I had some crazy symptoms.The biggest and most obvious one was that I was exhausted all day long and had no energy (very unusual for me). So I went to the doctor and they did some scans and said you have to go to emergency now! I still had no idea why. They admitted me and performed an emergency surgery to remove a mass of cells in my stomach. This mass was very rare. And no it wasn’t cancer. From September until November I had to have blood work every week to monitor my body and make sure it didn’t come back. And it came back. Again very rare. Based on where it was my only option was chemotherapy. I had 7 rounds before I got to ring the bell that I completed my chemo! Wahoo! The whole time I kept on training my clients and I even began my very first prep while still undergoing chemo. The chemo made me very puffy and swollen but I didn’t get down on myself. I honestly didn’t even tell many people. Did this stop me? No. Does it prevent me from doing anything? No. Do I use it as an excuse? No. Alicia Bell Interview – Figure Competition Prep, Diet, & How To Train It Right! CBC News Interview – Are Online Personal Trainers Better Than The Real Thing?